The Silver Eagle Evaporative CoolChampions Cooling Vest is the ideal solution to the effects of intense heat on dogs. 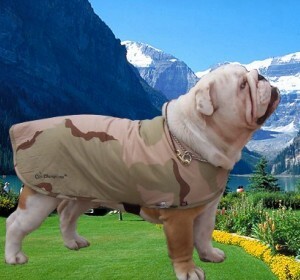 We cut this size to fit a British Bulldog perfectly. Does fit other breeds also.